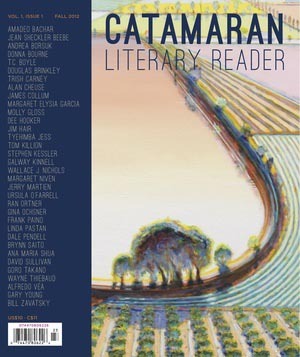 So notes founding editor Catherine Segurson in the opening pages of the inaugural issue of Catamaran—a brand new literary magazine headquartered in the new Tannery Arts Center in downtown Santa Cruz. Beautifully and elegantly designed with an impressive array of fiction, creative nonfiction, poetry and art, the magazine will come out quarterly, focusing on themes of the environment, artistic spirit, innovation, and freedom. “The art, fiction, poetry, and essays are all connected by our themes, and they play off each other and tell a single story--one that resonates with creativity around the heart of our region, California and the West Coast,” said Segurson. “We feature a combination of well-known writers and artists with discovered talent, and the contributors are from everywhere,” she added. Several UCSC faculty are helping to fuel the new venture. UCSC lecturer and alumna Elizabeth McKenzie serves as managing editor, as well as fiction editor. She has worked as an editor for the Chicago Quarterly Review for 14 years, and also as a staff editor for The Atlantic Monthly. 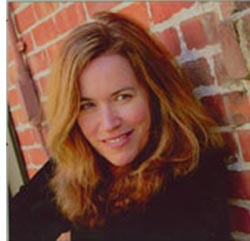 The author of two acclaimed novels–Stop that Girl, and MacGregor Tells The World, McKenzie received Santa Cruz’s Gail Rich Award for Writing in 2011. Award-winning poet Gary Young—who teaches poetry and directs the Cowell Press at UCSC—is a contributor and also serves on the advisory board of Catamaran. Young was named the first ever poet laureate of Santa Cruz Country in 2010, and is Santa Cruz County’s 2012 Artist of the Year. Catamaran associate editor Candace Calsoyas received her Ph.D and MA in Literature from UCSC. A long time lecturer in literature, she specializes in environmental studies and literature of the sea. And UCSC staff member Dan White is a contributing editor, offering up a thoughtful interview with writer T.C. 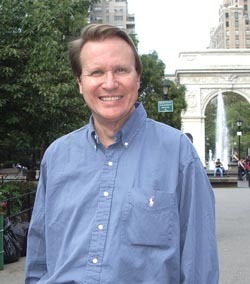 Boyle in the first issue to accompany the renowned author’s short story, "The Extinction Tales". Segurson, who has worked at two major literary magazines (Zoetrope All-Story, and ZYZZVA) and as a visual artist, professional videographer and financial analyst, said she hopes to work with UCSC in the future to make internships available and bring writers and poets to the campus for classes and public events. “We've talked to some writing teachers about internships and plan to make them formally available after the second issue when submissions increase,” said Segurson. To find out more about Catamaran, visit their web site.